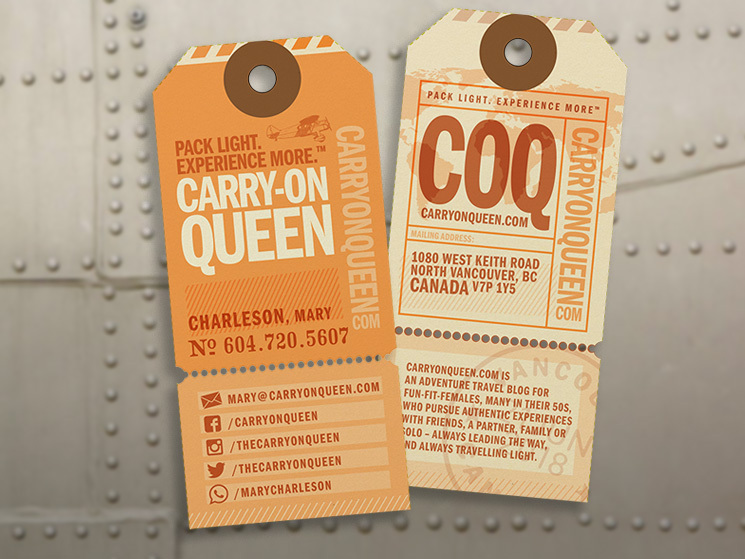 Brent Flink designed these unique business cards for Carry On Queen, an adventure travel blog for people who are passionate about authentic experiences. “l was inspired by an online search for luggage stickers and tags and loved the look of retro luggage tags. I discovered an online tag printer that printed these sort of tags, complete with grommets and elastic strings and pitched the idea to the client. Thankfully, she was as excited as I was by the concept,” Brent said. The business cards/tags will be printed in 2 colours on 13pt manilla tags with grommets and elastic strings. Frankly, we can’t wait to see the final results!